See If You Are Smarter Than The NSA! Can You Solve THIS 'Easy' Brain Teaser Written By NSA Employ? See If You Are Smarter Than The NSA! Can You Solve THIS ‘Easy’ Brain Teaser Written By NSA Employ? Known for spying on millions of Americans The National Security Agency (NSA) has a bad reputation. However, in order to break intelligent codes some of the smartest people have to work there, without a doubt. These individuals must be really good at solving puzzles and riddles, it’s part of their job. That’s why The NSA makes them create their own puzzles and teasers. 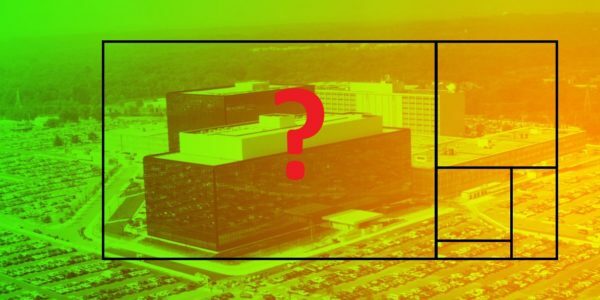 NSA applied mathematician submitted a brilliant and surprisingly easy brain teaser to check if someone is smart enough to get into The NSA! “On a rainy summer day, brothers Dylan and Austin spend the day playing games and competing for prizes as their grandfather watches nearby. After winning two chess matches, three straight hands of poker and five rounds of ping-pong, Austin decides to challenge his brother, Dylan, to a final winner-take-all competition. Dylan clears the kitchen table and Austin grabs an old coffee can of quarters that their dad keeps on the counter. It’s all in the geometry and the mathematics. That’s all I am going to say. Try to solve it. When you REALLY know that you cannot solve it or if you think of some solution, scroll down for the answer. This is truly a brilliant puzzle! Dylan should go first. By doing this, Dylan can guarantee a win by playing to a deliberate strategy. On his first turn, he can place a quarter right on the center of the table. Because the table is symmetric, whenever Austin places a quarter on the table, Dylan simply “mirrors” his brother’s placement around the center quarter when it is his turn. For example, if Austin places a quarter near a corner of the table, Dylan can place one on the opposite corner. This strategy ensures that even when Austin finds an open space, so can Dylan. As a result, Dylan gains victory, since Austin will run out of free space first!